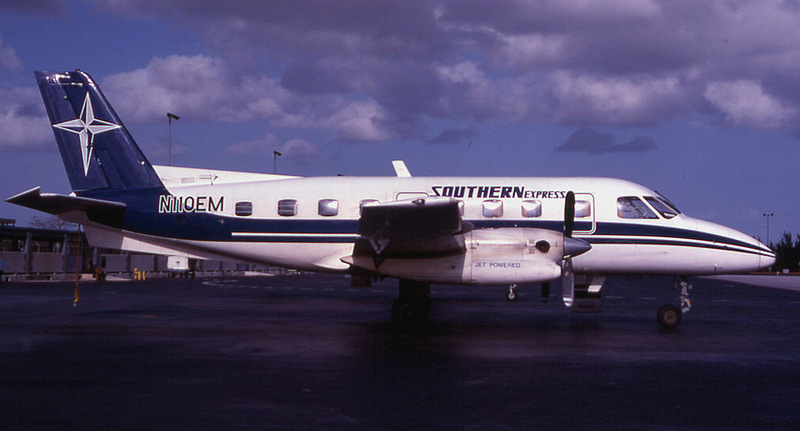 "True Southern Comfort", Southern Express operated routes across Florida between May 1984 and January 1986 using Embraer Bandeirantes, Piper Navajo Chieftains and a single Convair 440. The airline was formerly known as Finair Express. 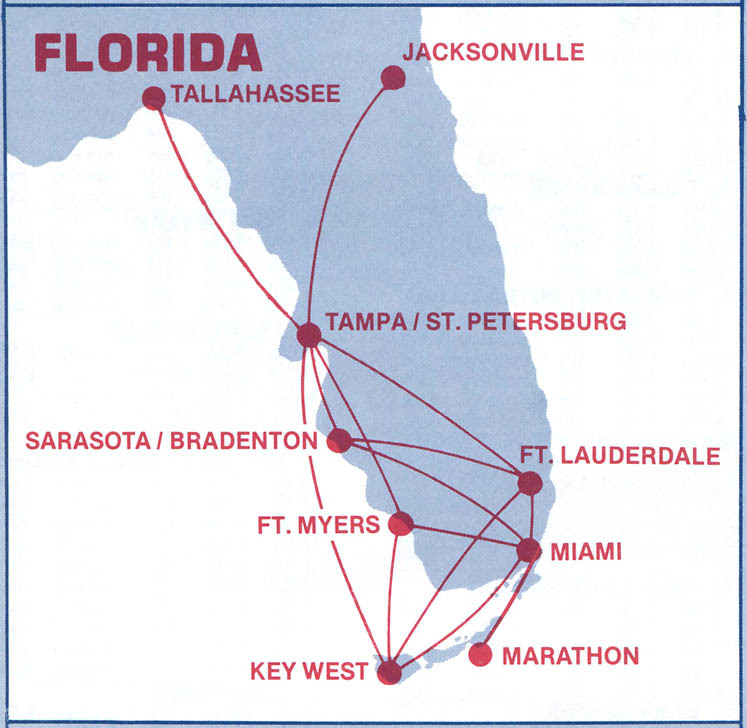 Southern Express route map dated May 11, 1985 showing service to 9 Florida cities. 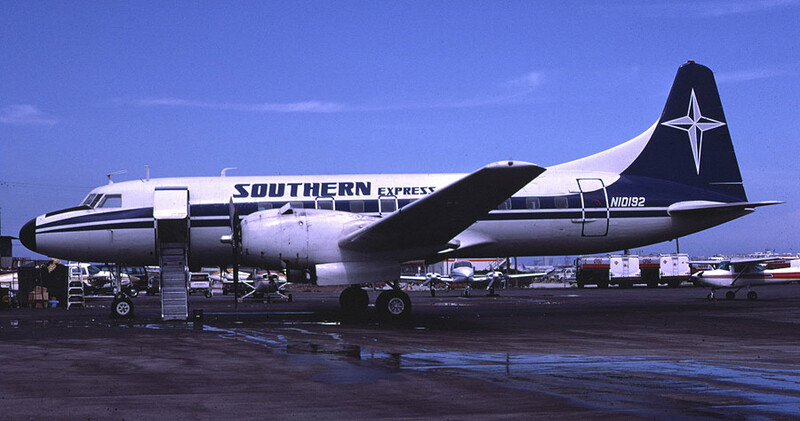 Convair 440 N10192 (msn 494) was built in 1958 and was operated by Southern Express for a short time during 1985. Captain Duncan Flett, who flew Bandeirantes for Finair and Southern Express from 1983 through 1985, sent in the following information: "They were still Finair when I got there, but it didn't last long. The Convair was the airline's downfall and only flew a few flights. It was in bad shape when they got it. Many parts that they obtained were unserviceable, so it was difficult to obtain the FAR Part 121 Certificate from the FAA. Too many company resources went to that endeavor, and unfortunately the company went bankrupt in December 1985. They were flying limited schedules into January 1986, but it was air charter by then. The scheduled flying had stopped in December '85. I believe they went Chapter 11 in December 1985 and Chapter 7 by the end of January 1986. I had flown a trip in January out to the Bahamian islands for cash up front. " Captain Flett sent in this photo of Embraer Bandeirante N110EM with the following info. "The Bandit picture was taken at the commuter ramp just north of the old Delta hangar in Miami, which is gone now, sometime in 1984. I got my first Type rating in the ole' Bandit, so I have a soft spot for this airline." 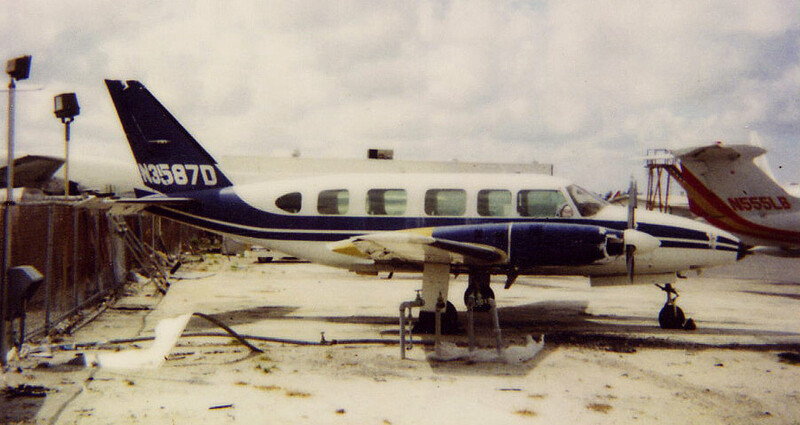 Captain Flett also sent this photo: "Southern Express operated Piper Navajo Chieftains as well. This one, N3587D, has the right paint but no logos."